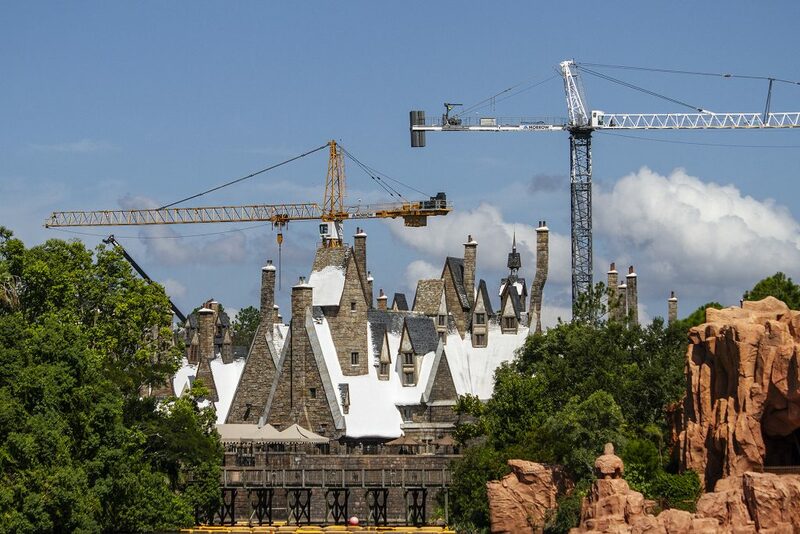 Upon entering Islands of Adventure, one of the first things you notice after you get through the wonderfully themed Port of Entry area is the huge cranes looming over the Harry Potter section of the park. 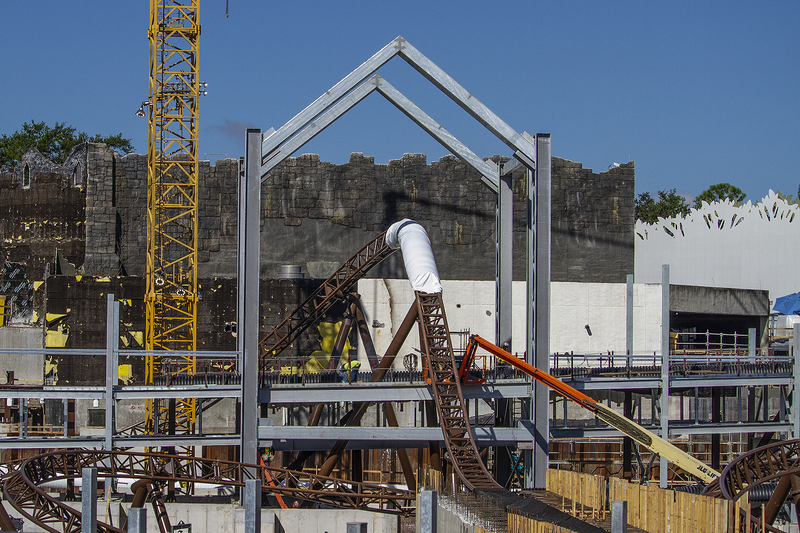 Those cranes are building a new roller coaster where the Dueling Dragons/Dragon Challenge coasters (RIP) used to be. You can’t see much from inside Hogsmede, but there is a nice themed construction fence in front of the former coaster’s entrance. 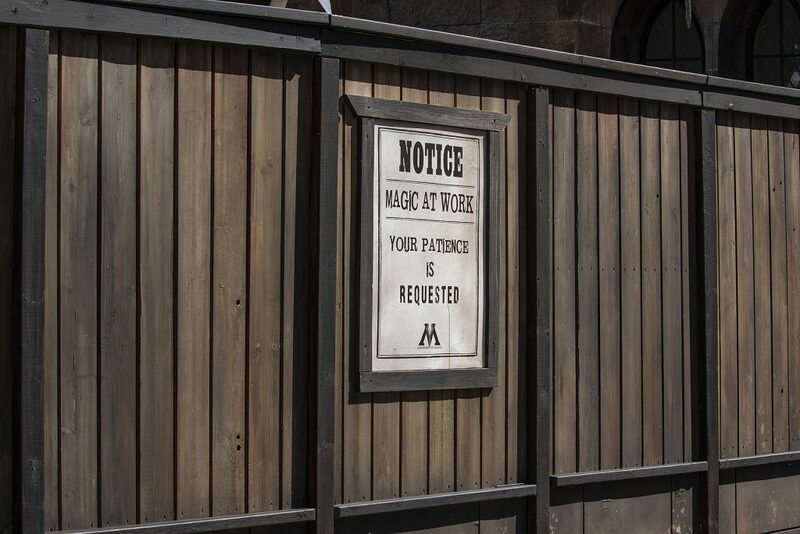 If you get in line for the Hogwarts Express, however, you can get a pretty decent view into the construction site. One of the first things you’ll notice is this part of the coaster that appears to launch you through a building. 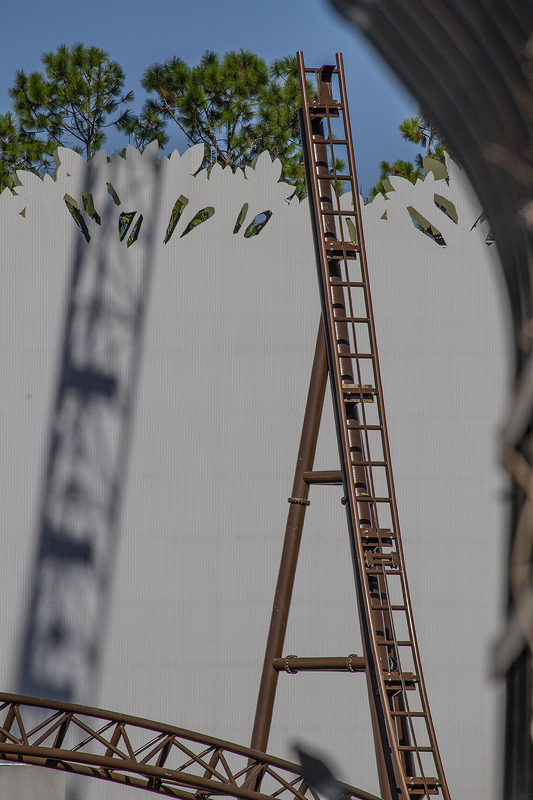 There’s also a section of the ride that launches you up a spike – hopefully there won’t be a holding brake here, as I’d imagine this portion of the ride could provide some great backwards airtime! 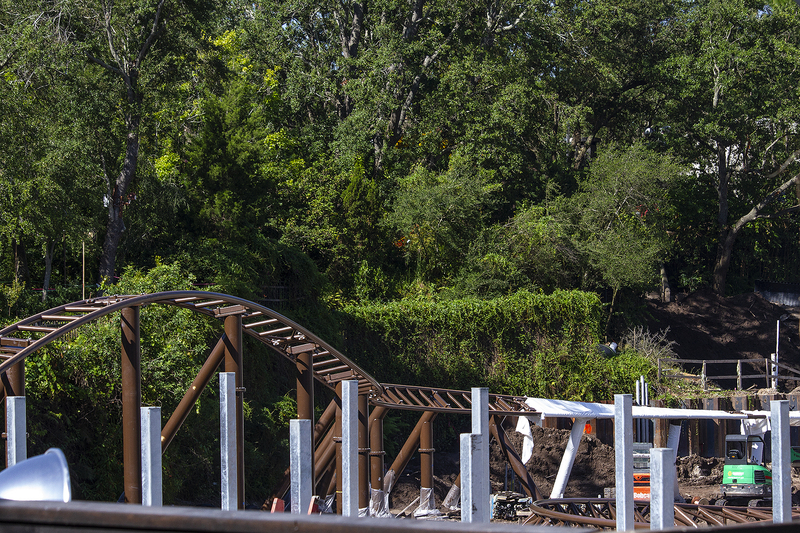 The track features some of those signature Intamin twists and airtime hills, so hopefully it’s a lot of fun! One last interesting thing we noticed was all the work taking place on the former castle building that housed the Dueling Dragons/Dragon Challenge queue. 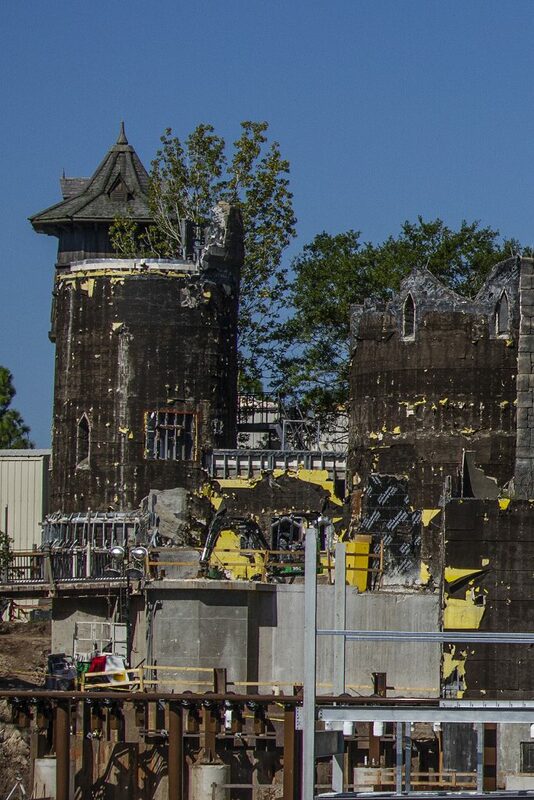 It looks like they’ll definitely be re-using the structure, but it’s been stripped down for re-theming. We can’t wait to see how it turns out! Well, that just about wraps up this update. 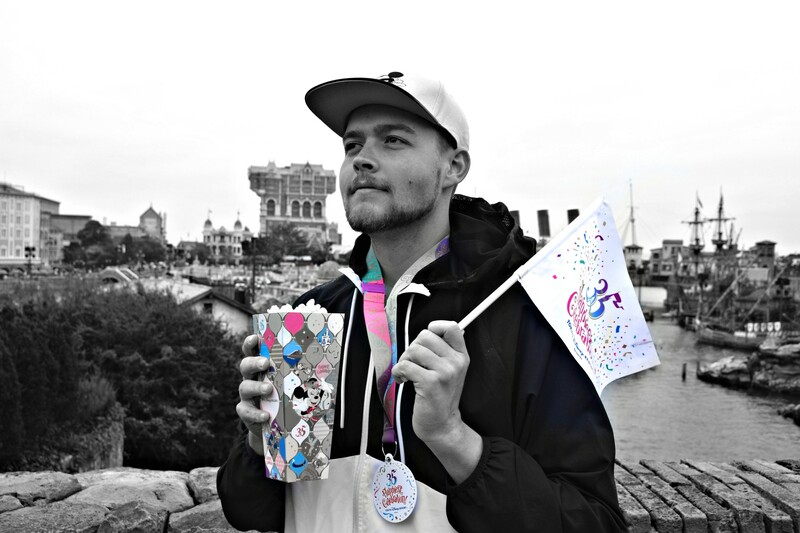 Thanks for reading and be sure to stay tuned for more construction updates from Universal Orlando in the near future! Share your thoughts in the comments below or on our social media: Instagram and Facebook!